Old Acquaintance was the perfect way to spend a chilly afternoon, while donning Christmas jammies, with the tree flickering, and the virtual yule log burning on the TV. In case you're curious, that is indeed how I spent yesterday afternoon, indulging in the holiday spirit while engrossed in some yummy escapism. Sam and his best mate are lounging around the house when a newcomer arrives to move in to the apartment next door. Come to find out, it's a guy they had gone to school with, one who left a bad taste in Sam's mouth. Too bad Charlie grew up to have an even nicer personality than his equally nice body, making it impossible for Sam to hold a grudge. There's no avoiding Charlie at their complex, the fact Sam is now renovating Charlie's sister's house means they have to spend far too much time together. 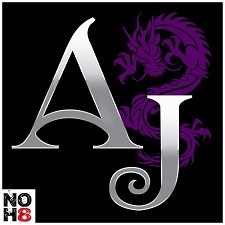 This all creates a hearty portion of angsty deliciousness. With a small cast of characters, featuring friends from school and close relatives, this holiday novella is warm and romancy, but still manages to bring depth from fear of being on the rebound and building new relationships. Definitely recommend to those who love MM romance, looking for some stress-free escapism to get into the holiday spirit. I think I will probably be in the minority about this story. I was honestly bored through most of the book. I tried to connect with Charlie and Sam, but I just couldn't. Sam is holding a grudge since school and he can't muster the balls to confront Charlie until well over halfway through the book. I wanted to reach through my e-reader and shake some sense into both of them. Ugh... this book had potential, it just didn't hit the mark for me. 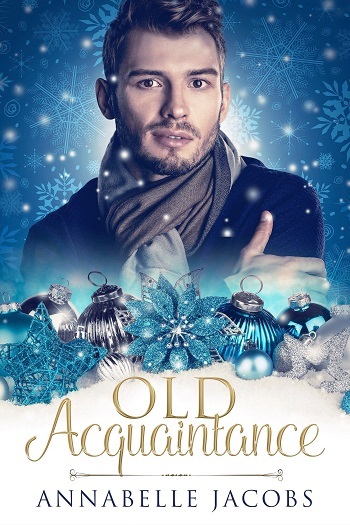 Reviewers on the Wicked Reads Review Team were provided a free copy of Old Acquaintance by Annabelle Jacobs to read and review for this tour.